Founded in 1895 as Peiyang University, Tianjin University (TU) is the first university in China. As the pioneer of modern higher education in China, TU has been committed to the mission of revitalizing this country through education ever since its foundation. Fighting arduously in keeping up with this mission, TU proudly upholds the motto "Seeking Truth from Facts" while the faculty follows the guideline of precise learning and strict teaching. To this day, over 200,000 outstanding individuals have been educated at TU. They contributed greatly to the progress in science and technology as well as to the prosperity of the country. TU has been a National Key University since 1959 when the first 16 universities were so designated by the government. It is also among the first group of universities to be included into the "211" and "985" Projects of national investment for developing world class universities. Now, TU has grown into a world recognized research university with distinctive quality and strength in education, research and social service. The 117-year history of TU is the epitome of the progress of Chinese modern higher education. During this period of time, generations of students and faculty of Peiyang and TU devoted themselves to the betterment of the nation and helped reconstruct the country with their sound knowledge of modern science and technology. While our motto remains unchanged, TU advanced with time, opening up to the world with quality education. Up till now, the university adheres to its mission of nurturing high caliber talents with innovative abilities and providing education and research with social service at the same time. While moral quality is strongly emphasized in education at TU, the university maintains a multidisciplinary system for the well-rounded development of students. TU is committed to recruiting better talents and faculty, as well as building stronger relations and international partnerships in an effort to make TU a world class institution. 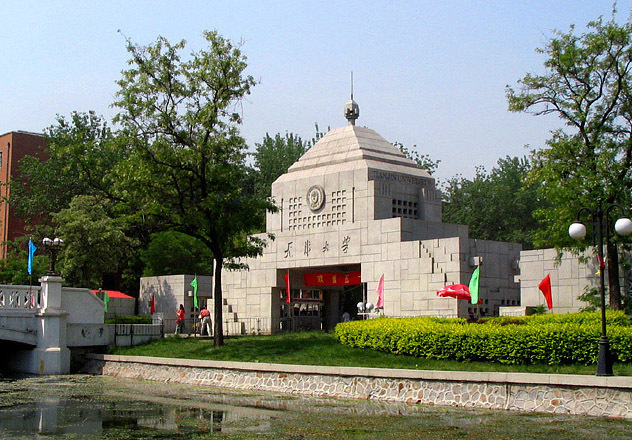 TU has one of the most active on-campus communities in China. Every student and faculty is proud to be a member in this big family and is respectful towards each other. A variety of extracurricular activities are offered through dozens of student groups and organizations such as Peiyang Arts Troupe, Youth Volunteer Association and many other clubs around campus. They offer social events such as the Weekend Concert, Robot Festival and so on. The campus provides a unique and supportive environment in which student can learn and grow while enjoying campus life. You are more than welcome to have a look at our academic programs, extracurricular activities, or just find out more about TU. I hope this website will help you find your way into the first university in China.